When my son was in elementary school he had a Korean friend. This boy's bedroom was decorated with the Korean flag and many pictures and items from Korea. My son became fascinated with this country. He even took up Tae Kwon Do a Korean martial art. My son's instructor was an amazing teacher from Korea. Not only was he an advanced degree black belt; he had a master's degree in physical education! 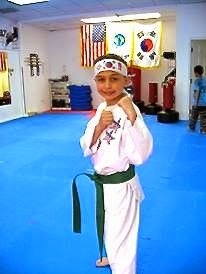 My son stayed interested in Tae Kwon Do for several years. It was a wonderful cultural experience for our whole family and at parties the food was very good. 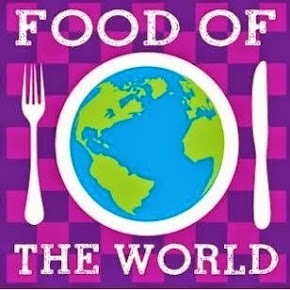 As you may have already guessed this month "Food of the World" has ventured to Korea. Korean food has become quite popular in may cities in the US. There has been a Little Korea Town area of Manhattan for a long time, but the really exciting place to eat Korean food now in NYC is in the borough of Queens. Every once in a while when I bring my kids into New York City we will go to a Korean barbecue restaurant. In many of these place they will cook the meat at your table on little grills. 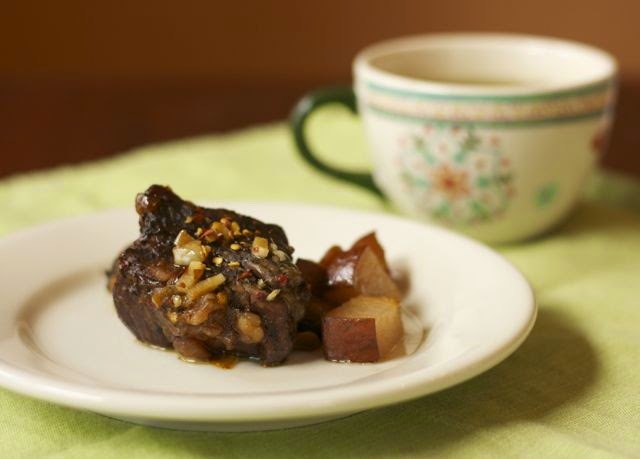 My kids really love Korean short ribs, so I decided to share a simple version of this dish that I make in a crockpot. The seasoning is both sweet and spicy flavor,and by adding an Asian pear and an onion I extend the contrasting flavors into a side dish. This recipe would be terrific served with kimchi, a spicy pickled vegetable dish that is eaten very regularly in Korea. You can find it available in some speciality grocery stores. Please check out the the links below and see what other dishes people have made from Korea. 1) Whisk together: soy sauce, brown sugar, vinegar, garlic, ginger, red pepper flakes and black pepper. Set aside. 2) Chop onions and pears. 3) Put onions in slow cooker first with meat bone side down next and top the meat with pear. 4) Pour soy sauce mixture over the contents of the slow cooker. 5) Cook on high for 6 hours or on low for 10 hours. The beef should be tender and if want the sauce thicker whisk a teaspoon of corn starch into it. Serve over rice accompanied by kimchi. What a simple, flavorful recipe. Short ribs are a favorite cut. I don't eat them often enough. I rarely have them either and these taste as good as when I've ordered them out locally. I've only had Korean short ribs once and they were awesome, yours look just like the ones I tried. I'd love to give these a try. Great story and pictures about your son and how his experiences allowed you too to experience the Korean culture. Thanks these were really tender the only thing is they don't have the grilled outer texture, but I'm not complaining for a simple meal. It was great time getting to learn about Korea. That sounds like a very flavorful and delicious dish. Loved reading about your experience with Korean culture and a cute pic of your son. 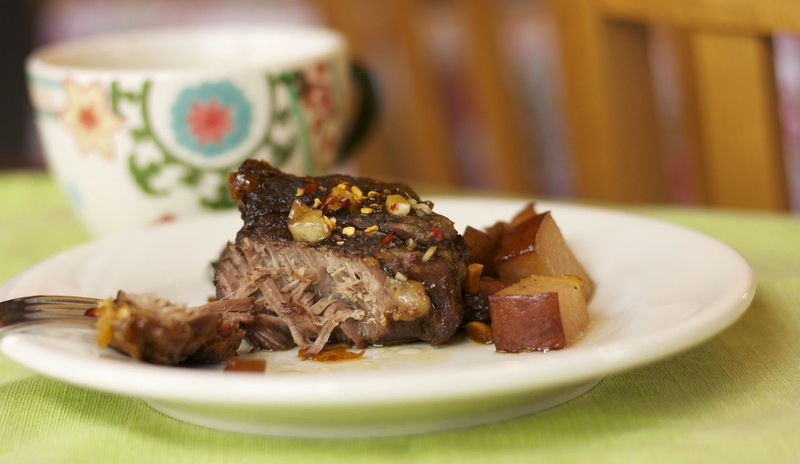 I love a new recipe and I'm looking forward to trying your Slow Cooker Spare Ribs. Your recipe sounds delicious. My MIL is Korean and her food is amazing! In fact, last night she made bulgogi and radish kimchi. I couldn't get enough of it! Korean ribs are so delicious, too! I'm going to try this recipe next week! Thanks for sharing! I found your recipe at Inspire Me Mondays! Thanks so much but your MIL may have a more authentic recipe. This is a quick and easy Americanized version, but my family found it tasty. I love that you paired this with an asian pear! It sounds like the kind of meal my hubby would love. 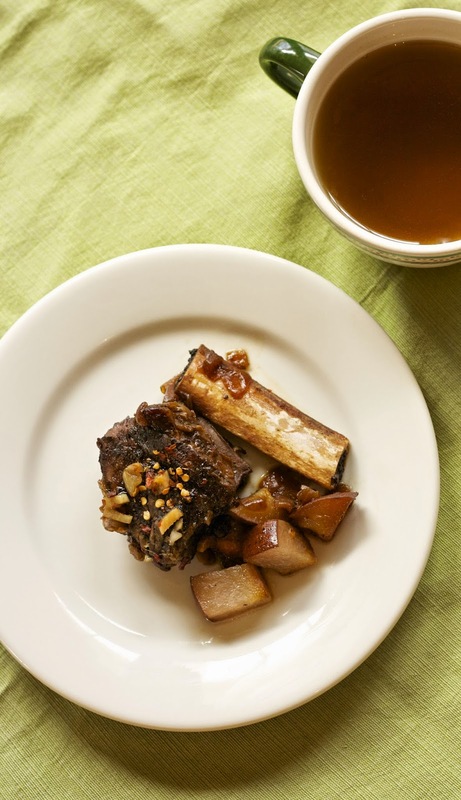 Korean short ribs looks delicious, thanks for sharing with Hearth and soul blog hop, pinning.